The existing secure nominative signature schemes are all based on bilinear pairings and are secure only on classical machines. In this paper, we present the first lattice based nominative signature scheme. The security of our scheme relies on the hardness of short integer solution (SIS) and learning with error (LWE) problems for which no polynomial time quantum algorithms exist till now. Consequently, our scheme is the first nominative signature scheme that withstand quantum attacks. Furthermore, we propose stronger security models for unforgeability and invisibility and prove our construction achieve these enhanced security. Besides, our scheme exhibits impersonation and non-repudiation following standard security model. 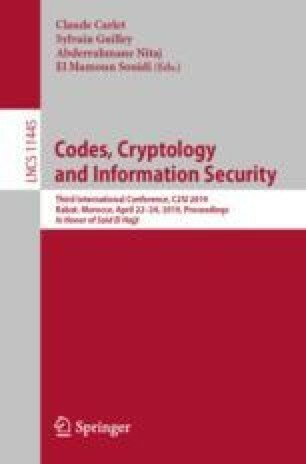 We emphasis that the security analysis against all the security attributes for our scheme are in standard model except the security against malicious nominator which uses random oracle.